No, seriously, it's really here! Really! If you've got an HTC Hero, chances are you've been sitting on the side of the Android highway, watching glumly as all the new phones roar into the distance with their fancy Eclair updates while you're stuck with the crummy Cupcake. 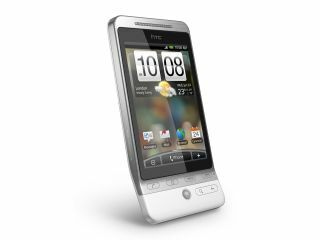 But the wait is over, as HTC has finally managed to work out how to port Android 2.1 onto the Hero with Sense UI – and it's even managed it by June as previously promised (although only just). What does the update bring? A whole manner of magic if you've been stuck in the dark ages with the Hero: Google Maps Navigation, an overhauled Marketplace to make apps easier to find and a much faster camera. The keyboard is better, the camera has a zoom, Exchange support and built-in contact social networking is now supported (although it kind of already was)… the Android 2.1 world is a better place. If you're after the upgrade, you've probably been prompted to install it via your phone – if not, then you can always head on over to HTC's support page and do it yourself. It's best to back up to a PC before you do the upgrade, as it will wipe all your data – there are also applications available from the App Market (such as MyBackUp) that allow you to save valuable data. If you are performing an over the air update, remember to do so in a Wi-Fi area, lest you destroy your data allowance (and remember, the networks are cracking down on this now). Other than that – enjoy your sparkly new HTC Hero and let us know how it goes in the comments below!